And by the book’s end, things do change. The ending isn’t necessarily what I expected or wanted, but by damn, it’s the ending that fits. The malleability of the human soul—and the innocent spark of a little kid—bring that ending to fruition. 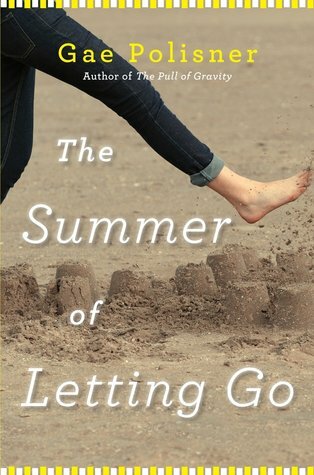 “The Summer of Letting Go” is the perfect title for this book. It’s a gem, filled with the mixed emotions we all feel: joy and pain, hope and despair, all contrapuntal, and the relief we feel when we let go the negative. Francesca finds her place on The Universe’s Etch-a-Sketch. Here’s hoping we all do. This entry was posted in Best Books of the Year, Books, General Fiction, Young Adult. Bookmark the permalink.